This great device has its aim to charge the batteries of some smaller electronic devices that you might have taken with yourself. For example: your phone, portable fan or radio or some other application that is run on batteries. With the help of this great solar battery charger you will be able to ensure the continuous and reliable work of these devices and enjoy your rest without any nerves and stresses and also time and money spending on new batteries. Just use the solar battery charger which has special cord extensions to fit different appliances of yours, by placing it in the direct sunlight, making sure that the solar panel is getting the most it can from the sun rays. The other great device that you might consider taking to your vacation or to the nice holiday trip by the lake or in the forests is the solar powered video camera. 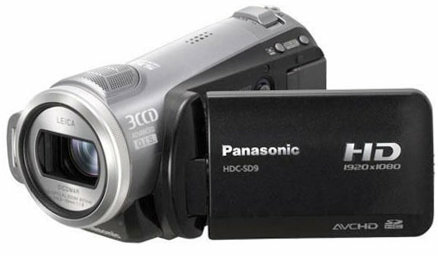 It functions as a common video camera, but is not using any batteries or accumulators, as it has a small special solar panel installed and therefore doesn’t need any additional sources of power. The received sun light from the solar panel is later converted into the energy which makes it possible for the camera to run solely from the sun. In such a way it is a great solution to your longer trips where you need to make a lot of videos and cannot afford yourself to stop for the battery change. If you are a little concerned with the dark surrounding of your camp side while staying in the woods or while simply camping with friends – you can use special solar powered camping light in order to lighten up the area of your stay and no longer be afraid about the darkness. Use solar powered camping light in order to provide yourself with the light while preparing for sleep after you have put down the fire from the fireplace. Or use smaller solar powered camping lights in order to lighten the way from your camp to the tent of your friends. Just live it during the day in order to get and gather the biggest amount of sun light, which will be far more than enough in order to last till the morning. If you are more into the active sports and you are used to hitchhiking or staying in the woods you would need a flashlight to lighten-up your way during darker times. Using battery flashlights can be quite troublesome, as you cannot be sure that you will have enough power for the whole night, or sometimes the batteries can be defective and therefore the flashlight will not provide the amount of light it will usually produce. Solar powered flashlight is very useful in this sense as you just need to leave it in the sun for couple of hours in order to be able to use it when the night comes. So this is the solution to the constant stress with batteries and light quality and foresight that are very vital to the active travelers. Sometimes it is also useful to get along with you the solar powered fridge. If you are planning to stay in some nature place for a long time you should think about the possibility to preserve your food and other provision. Solar powered fridges are very compact and not heavy at all. You can bring it along by the car or even in a bag. Even though it may take quite a space, but just imagine that with it during your camping you will be able to have cold drinks available all the time, so there is no more need to hope that your bottles are still at the same place, hidden in the lake. You can also take some meat along with yourself and not be afraid that it will spoil and therefore you will no longer will be able to eat it. Some medications also require cooling; therefore it is not only helpful but also very important in providing you with comfortable, safe and enjoyable rest. As we usually choose to spend some quality time during vacation in summer season, it is also possible to get great resting experience from vacation during colder times. And as the temperature is the biggest problem and obstacle, you can now tackle with it with the help of solar powered heater. It doesn’t have to be warm outside for the solar powered heater to get its running energy. All it needs is just the proper amount of sun-light which it will collect with the help of solar panel installed and will convert it into electricity and store it for future use. Therefore you can leave it outside during the day to charge and after that have it to warm up your place of stay during the night, when it is also much more colder. If you are more of a business person and need your computer even while on vacation or travelling, then you should think about getting one of those extremely helpful solar powered laptop chargers. You no longer need the electricity outlet in order to be able to continue your work while near the sea or at the mountains area. You can take your laptop everywhere with yourself and have it charged by the solar laptop charger while you seat in the café or just relax near the pool without thinking about the low battery or additional charging. 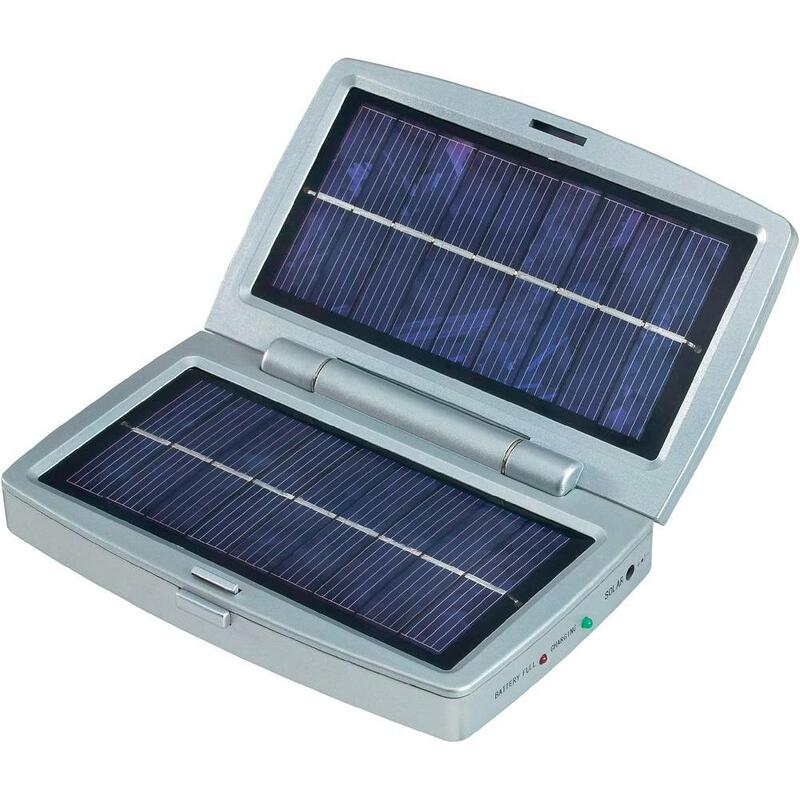 If you think that dealing with solar powered laptop charger is also quite troublesome and doesn’t provide much of a solution for you, then you can consider taking a solar powered laptop itself. For sure it will require more investments, though the benefits are also higher. First of all you will no longer have to deal with charging, as the laptop will charge itself from the sun light it receives. Moreover, there is no need in battery or electricity outlet in order to get your laptop running. It is easier than ever, you just face the keyboard side of the computer to the sun light and enjoy your work. In addition, the best feature of a solar powered laptop is that it can also gather energy from artificial sources of light. Therefore if it is placed under the table lamp it will also charge itself for your later usage. Very small in size, very easy in usage, and therefore very friendly and useful device is the solar powered radio. It for sure happened to you that you would love to enjoy some music on the background while laying on the beach or during some fishing, and your audio player is constantly disappointing you with big energy consumption while turning the player on, or you simply want to hear some new songs and get familiar with latest broadcasting news – therefore you can use the solar powered radio and enjoy its work for free. Just place it under the sun-light and the radio will give you the best audio quality with no interruptions or sound lowering in case of low battery charge. One of the most popular and practical devices that every person uses is now also available as a solar device. The solar powered watch can offer you a great help if you are a real on-time geek and hate it when the batteries of the watch die, and therefore you are turning late for some meetings. Solar powered watch is a great solution to those who want to be familiar with the time during their vacation, but hate the constant battery checks and changes. It runs fully on the sun, and as sun is available for at least half of the day, be sure that your watch will never be late now even by one second. Being able to have music everywhere they go is a requirement for majority of people. If while on vacation you are thinking about making a beach party or some smaller hand out near the lake or just have music on the back while camping, then solar powered boom box will be great. You will not have to worry about the electricity or about the batteries, as this device runs from the solar energy which it get through the solar panel installed on its surface, or as a special flip-out thing. Play the music that you would like with no costs for batteries and other sources of energy. It will also work during darker times; just don’t forget to place it on the sun during the day, so that it will have the possibility to charge itself. In case if you are travelling a long distance and far from any modern city life and there will be no possibility to get some really good cooked food around, you can have your own solar cooker with yourself in order to prepare some hot meal or make a soup or some boiled vegetables and stewed meat. Cooking in such a solar powered cooker requires time, but it will first of all be very handy if you are having no other alternative in terms of providing yourself with some properly prepared food. Moreover, using such a cooker will not cost you anything and all in all it is also green. You are not harming the environment by not properly arranged fireplace, which also represents some danger to your health and safety and you also have no harmful emissions during the cooking process. One of smaller solar powered devices that you might think of getting along with yourself is the solar powered e-reader. It will make it possible for you to carry hundreds of books in just a small device. Moreover solar powered e-reader runs on the solar energy and therefore doesn’t require any batteries or additional charging, which may be quite difficult to find in some locations. Therefore solar powered E-reader offers you freedom of location and possibility to travel to distant places without worries that you will not be able to read very important guides, maps, notes or just your favorite books when you feel like it. When you are thinking about active travel and some short leisure outdoors you usually are able to pack all of your things in one backpack. However, with solar powered backpack you get two solutions in other thing. First of all it is a backpack which is fairly roomy to pack all of your staff there. And in addition you also get yourself a special solar panels equipped backpack which will later be able to charge your electronic devices after it has received enough of sun light. Solar panel equipped backpack can charge your laptop, your camera, your phone and many other things as it is capable of providing the energy it received after successfully converting it. Therefore by having such a device you will be able to lessen the amount of the things you are planning to take along to you weekend off and will be able to do much more as you have with yourself a real energy container now. If for example there is no possibility to leave the batteries at home, since you are trying to take along so many things that require them, then a good solar powered device for you would be the solar powered battery. Even though it might seem like a step back from the solar powered charger, it is not! With solar powered battery you can run different application, as batteries are majorly standardized in most applications, while with chargers you have to make sure that they fit the specific model and device you are planning to charge with. Solar powered battery will charge itself from the sun and will therefore be very easy in handling and additional recharging; it is enough just to leave it in the sunny place for couple of hours to have it fully charged. Hopefully this list of 15 solar powered devices that you might take with yourself to travel was helpful, as we’ve tried to think about the majority of situation when you might feel the need to use solar energy as no other energy source is available.